Sign up for Broadjam today to follow Tim and Cindy - The Lonesome Tradition, and be notified when they upload new stuff or update their news! NEWS! Tim and Cindy have joined the Platte Valley Boys after the retirement of Jim Stebbins in November 2007. Tim and Cindy were inducted into the Mineesota Rock and Country hall of fame for their previous contributions as Platte Valley Boys, and look forward to performing again with "the boys". They will also continue to perform as a classic country and bluegrass duo. 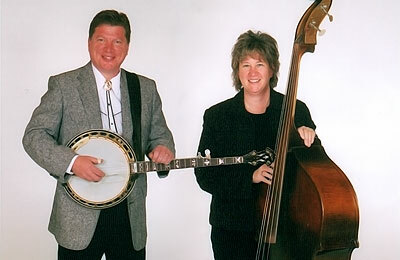 Tim and Cindy Roggenkamp have been entertaining audiences with their brand of bluegrass and country music for over 30 years. As a duo as part of The Platte Valley Boys, they provide exciting and heartfelt performances of traditional bluegrass, classic country and original songs. Tim and Cindy are available for your event as a duo, playing acoustic country, bluegrass and folk music, featuring Tim on acoustic guitar, mandolin, banjo fiddle and dobro and Cindy on guitar. They also feature their close duet harmony singing that they have been perfecting for nearly 30 years.